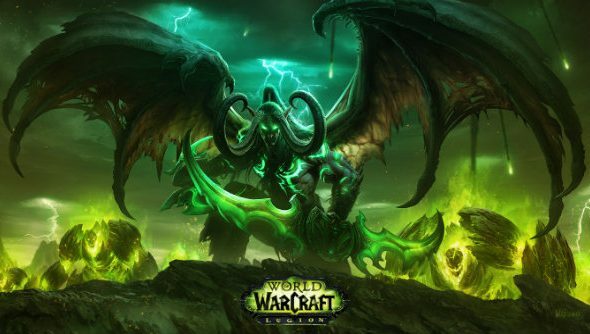 The demons of the Burning Legion will be pouring into World of Warcraft from August 30, which is when the anticipated sixth expansion for the long-running Blizzard MMO will be released. Until then, have a look at our list of PC’s best MMORPGs. The expansion, which adds a new hero class, new artifacts, new areas, new quests and more, is available to pre-order now. Doing so will give you an instant level-100 character boost, as well as early access to the new hero class (which you will probably want that boost for), the dexterous Demon Hunter. “Legion opens a dark and thrilling new chapter in one of the Warcraft series’ greatest conflicts, and things will never be the same for some of Azeroth’s most iconic heroes and villains,” said Mike Morhaime, CEO and co-founder of Blizzard Entertainment. Following on from the events of Warlords of Draenor, Legion begins when the warlock Gul’dan unleashes a demon invasion onto Azeroth. Players have to travel to the Broken Isles to find the key to stemming the flow of yet another ancient evil. In this new continent you will discover the fate of a lost night elf civilization, confront twisted fragments of the Emerald Nightmare, and hunt agents of the Legion in all-new zones. This place also houses artifact weapons, which are class specific weapons of lore, each with unlockable abilities and traits. For the full details, or the pre-order, head over to the official Legion announcement.